You know what? Perhaps we’ve waited too long until Mercedes has decided to introduce the all-new and totally redesigned G-Class, but it’s worth of waiting without any doubt. 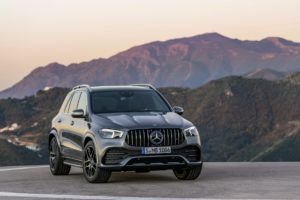 The iconic SUV will definitely make its debut at the 2018 Detroit Auto Show, yet the German carmaker has previewed some parts of the 2019 Mercedes-Benz G-Class. 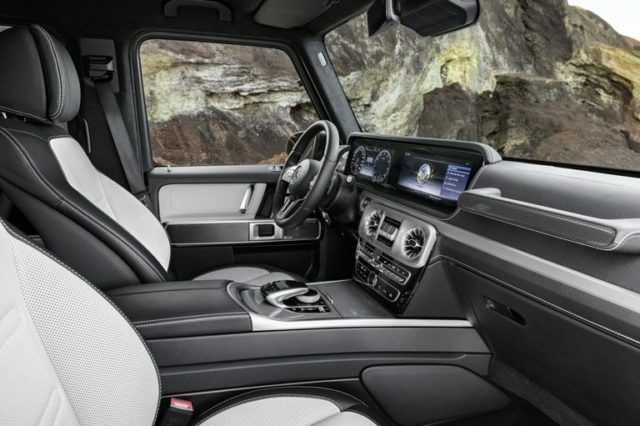 More precisely, they are bragging about the new interior styling, which is okay since the cab looks marvelous. We can’t really say that the current cabin lacks the luxury. On the contrary, it has been awesome always. 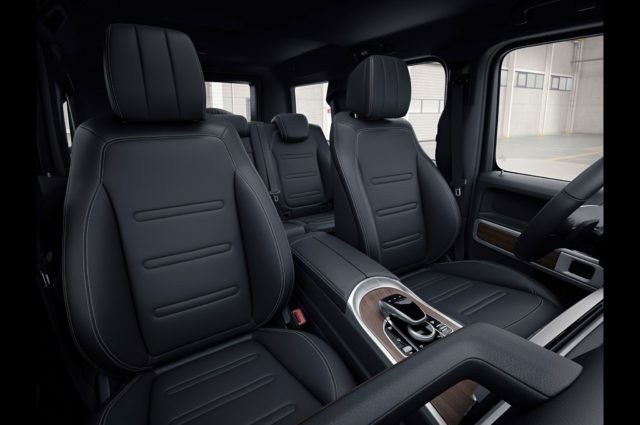 The new-generation G-Class, however, hosts far better technologies, which is basically the main reason for the complete redesign. The most dominant part of the cabin is a new digital dashboard without any doubt. This isn’t something we haven’t seen before because the manufacturer introduced pretty much the same layout inside of the new S-Class. However, since it consists two 12.3-inch digital screens, we can only imagine what’s going to be covered with these. 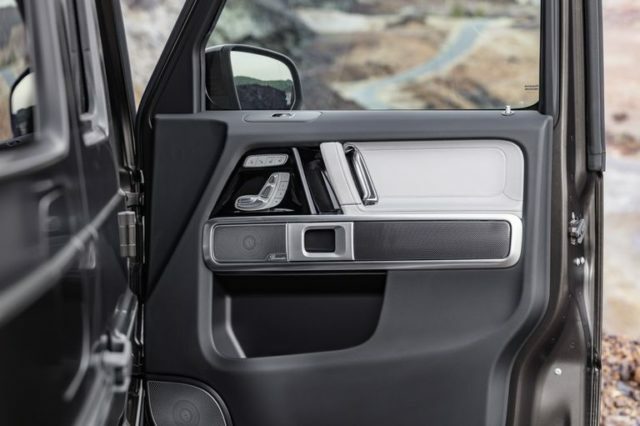 Plus, the entire infotainment can be turned into one 24-inch screen or even controlled via the steering wheel, which features touch- and swipe-sensitive buttons. The steering wheel is also borrowed from the S-Class, so we know it’s a four-way adjustable. Speaking of adjustments, we can’t skip mentioning the new seats which are higher and feature a nine-way adjustable backrest. A 3-zone climate control is standard and mated to gorgeous vets. The passengers will be able to enjoy an amazing 590-watt Burmester sound system with 16 speakers. The 2019 Mercedes-Benz G-Class will be a bit longer and wider than the predecessor. This will have a positive influence on the interior of course. More precisely, shoulder width will be increased by 1.5 inches in the front and 1.1-inch in the back. 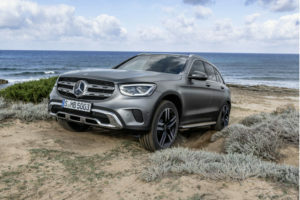 Also, front-seat passengers will get around 1.5 inches of the additional space, while in the back, the SUV is going to get around 5.9 inches more, which is really something. 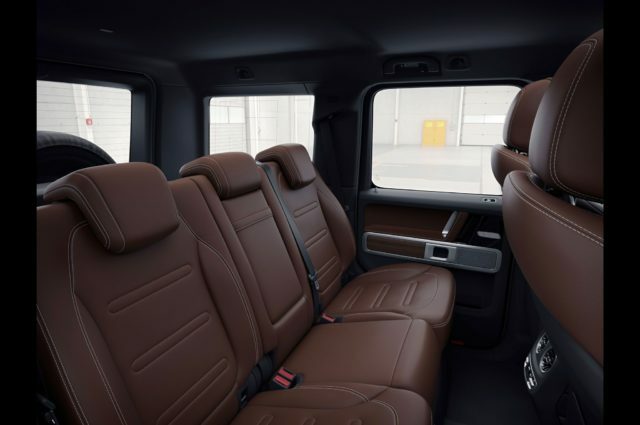 Mercedes will offer two interior specifications: Exclusive Interior and Exclusive Interior Plus. Both of them are gorgeous and include leather upholstery of course. However, the Plus gets a few pluses because it adds leather to door panels, center console, and instrument panel.